Directed by: Camut Band. With: Toni Español, Rafa Méndez, Lluis Méndez, Guillem Alonso, Sharon Lavi, Maria Bossy, Cristina Méndez, Jordi Grifell, Estefanía Porqueras. This new show from Camut Band re-creates the magical world of dancers who make sounds and music with their feet while dancing. It's 'a capella' choreography with a little help from sound effects. Materials such as wood, metal and plastic are the starting point and thread of the dance, which expresses emotional states and the visual aesthetics of every moment, creating sound sensations that lead to rhythm and dance. With this new show, Camut Band delves into the search for new sounds. 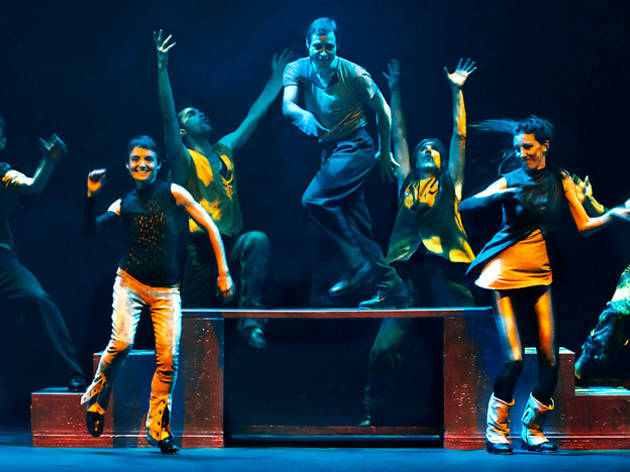 Tap dancers dancing on objects give off virtual sounds in harmony, rhythm and elegance.